Delight your child with a hand-written note from Santa. From his outpost at Mr. Boddington's Studio, Mr. Claus has been receiving and responding to children's holiday requests for over ten years. 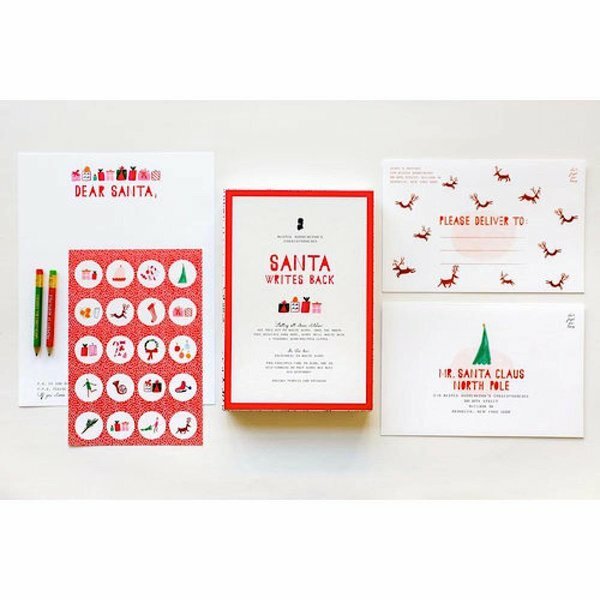 The kit contains the following pieces: a lovely box, blank letterhead for your child to write his or her note, an envelope to Santa, an envelope for you to put your return address, pencils & gift labels. Printed in New York Hand-drawn illustration Please note all letters must reach Santa by December 15th to guarantee a response by Christmas!